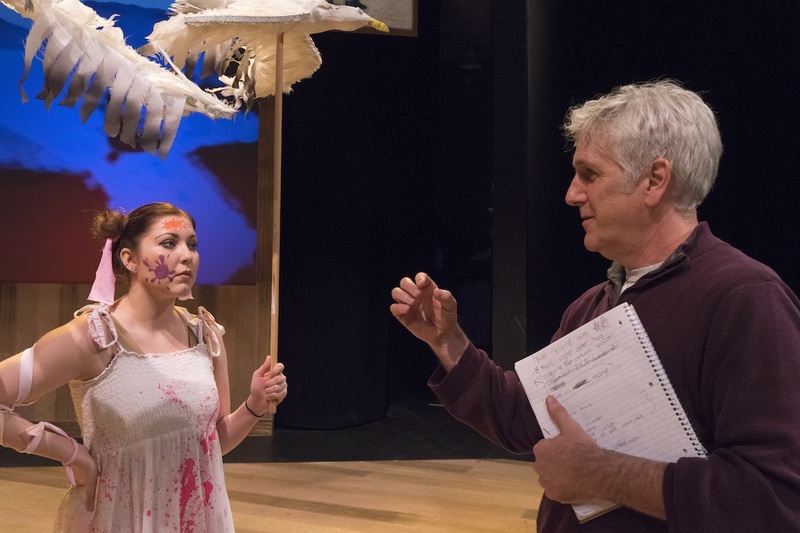 The Master of Fine Arts (MFA) in Directing is an innovative two-year program designed to train students to work professionally and to teach at the collegiate level. Every other year two MFA Directing candidates will be chosen to join a company of eight MFA Actors, six MFA Designers, and two MFA Theatre for Youth candidates. MFA Directing students must complete a 60-hour course load combining the historical-theoretical- literary areas of directing with the practicalities of production. Directing students direct a production in each of their four semesters, and they serve as assistant director on at least one production at Triad Stage, an Equity theatre in downtown Greensboro. While at UNCG, student directors will have multiple opportunities to work closely with professional directors, designers, and actors at Triad Stage. The Artistic Director of Triad Stage, Preston Lane, is a principal instructor in the MFA Directing Program. Please note: applicants are accepted for admission to the MFA in Directing program every other year. The next semester for admission is Fall, 2018. Questions? Contact John Gulley (Coordinator, MFA Directing Program) at gulley@uncg.edu.